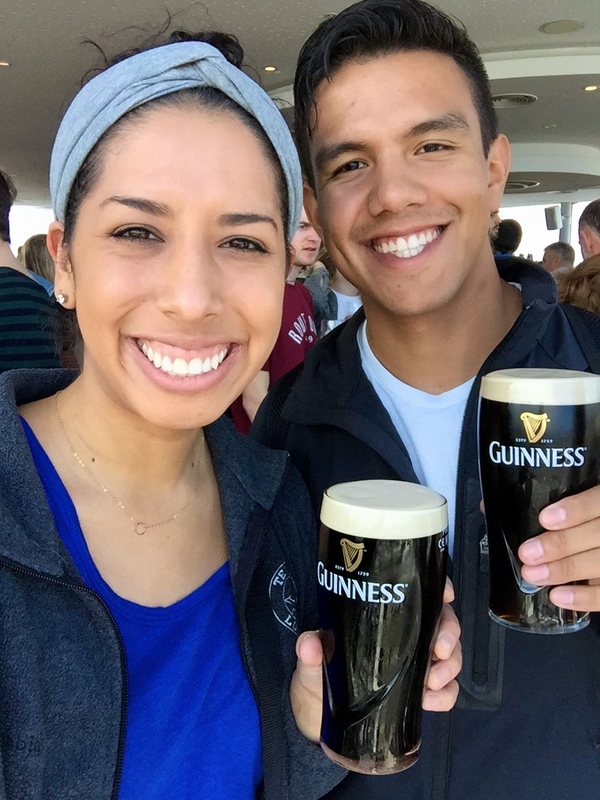 Two awesome experiences we had during our stay in Dublin were the Guinness Storehouse and Jameson Distillery tours. 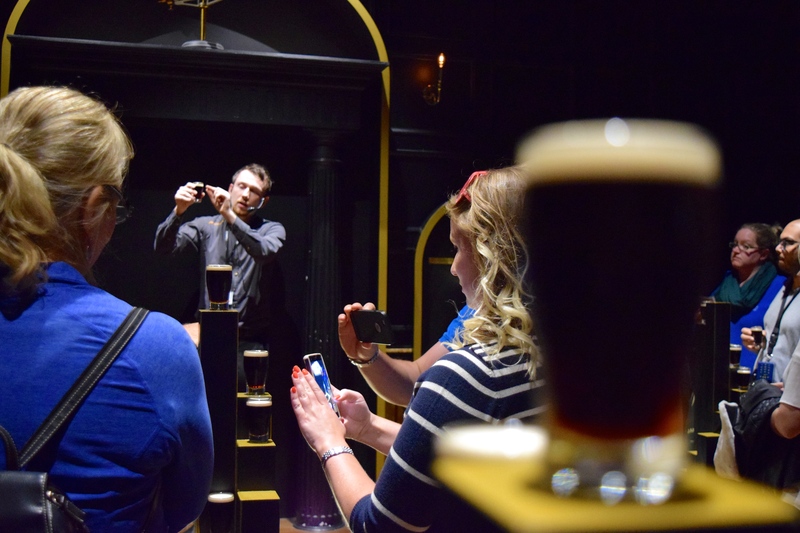 Neither of us had been very big fans of dark beers or whiskey, but we had heard that these tours were really cool things to check out while in town. We ended up really enjoying both! First up, we checked out the Guinness Storehouse. 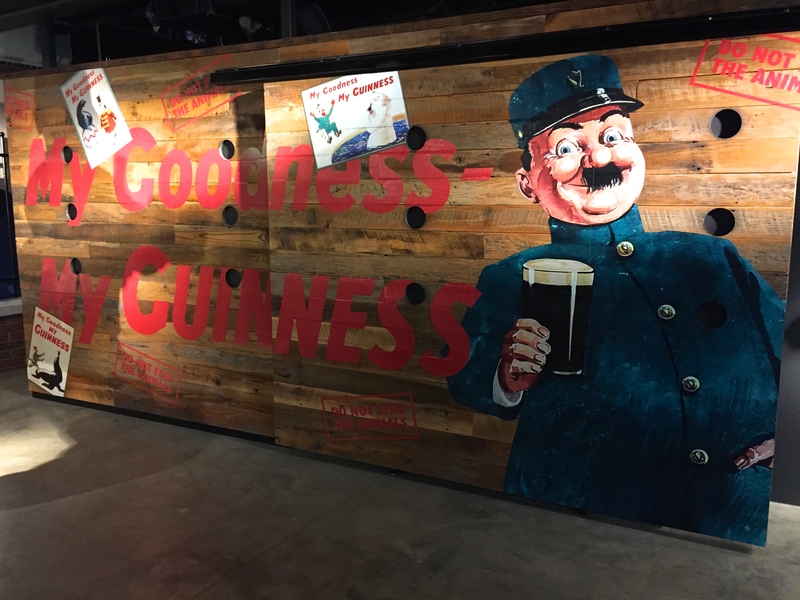 It’s a seven floor original Guinness brewery turned museum of all things Guinness – the ingredients, how they are each prepared and then come together, a tasting room, and something I was super excited about – a floor dedicated to their past and present successful advertising campaigns. We were able to walk right up on a Saturday afternoon, wait in a short queue, and purchase tickets. 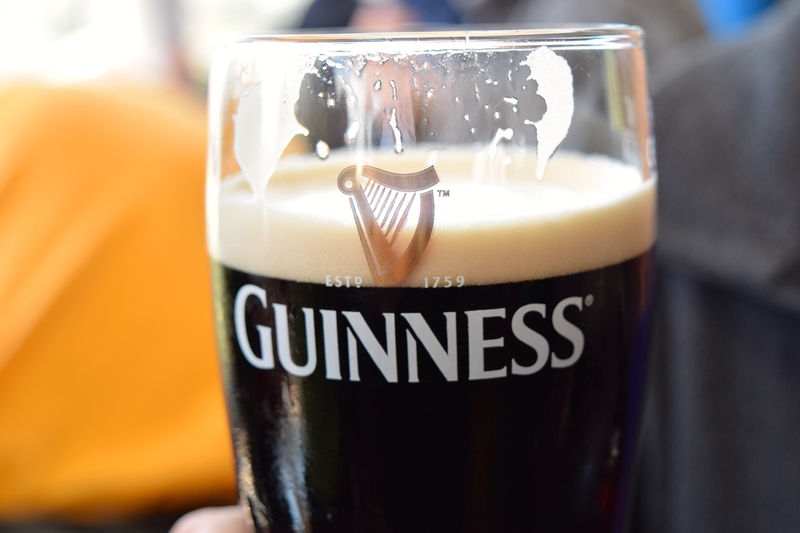 After going through the ingredients and processes that make a nice pint of Guinness, you have the opportunity to go into the official tasting room. In here, the friendly staff provided us with the cutest little mini pints of their famous beer and taught us the proper way to waft, taste, and savor it. 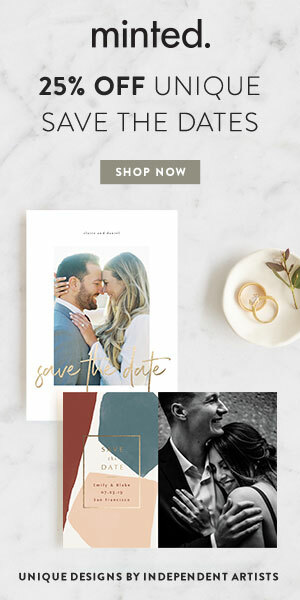 They should probably look into hiring us now for models in their present day ads, right? 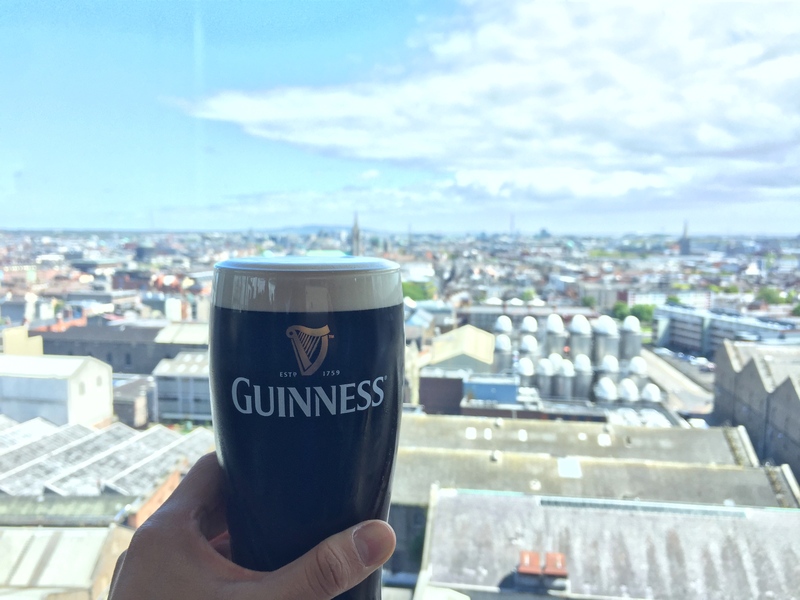 My favorite thing about this whole experience though, was the seventh floor Gravity Bar – a 360 view of Dublin where you received your reward for working your way through the museum – a pint of Guinness to sip on as you soaked in the sights! People are up there socializing and having a great time. The atmosphere was so nice and white lettering on some of the windows calls out famous Dublin sites you can see from where you stand. 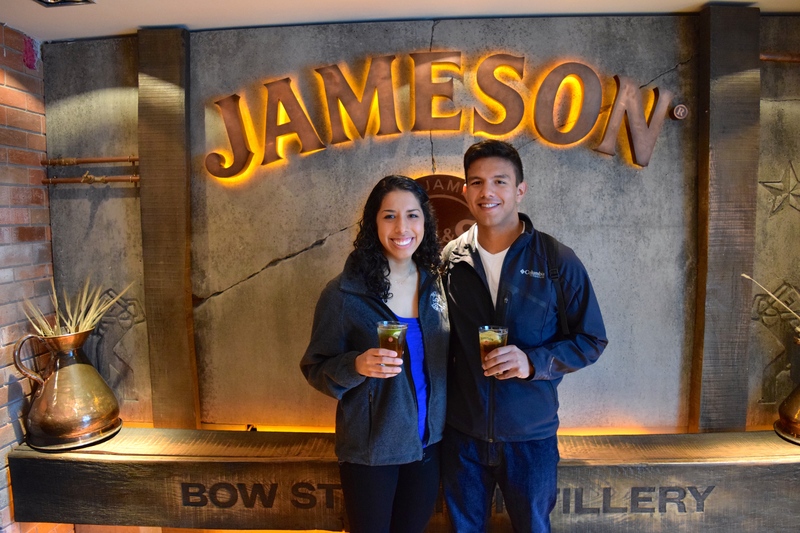 Unlike the Guinness self-guided tour, the Old Jameson Distillery tour was about forty five minutes with a guide. It was nice that they were different in this way so it didn’t feel like a repeat experience! 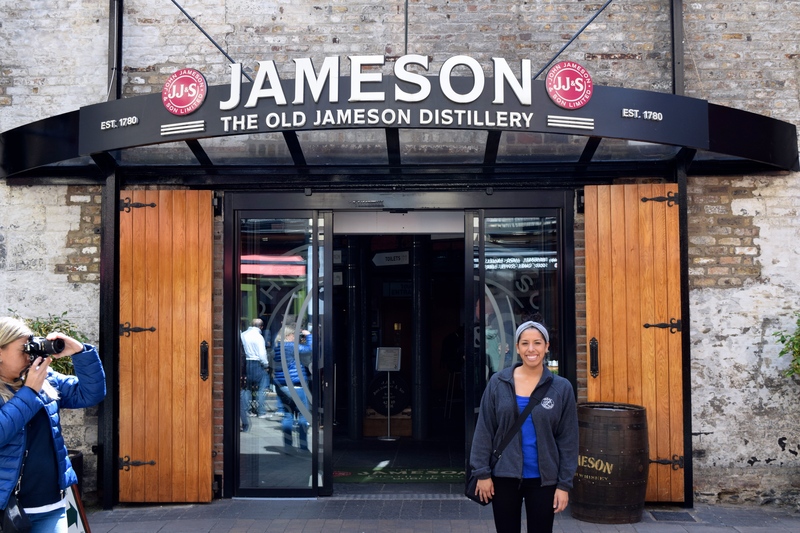 While Jameson Whiskey is now made in Cork, Ireland, one type is still distilled here at the Dublin location which was neat to hear about. 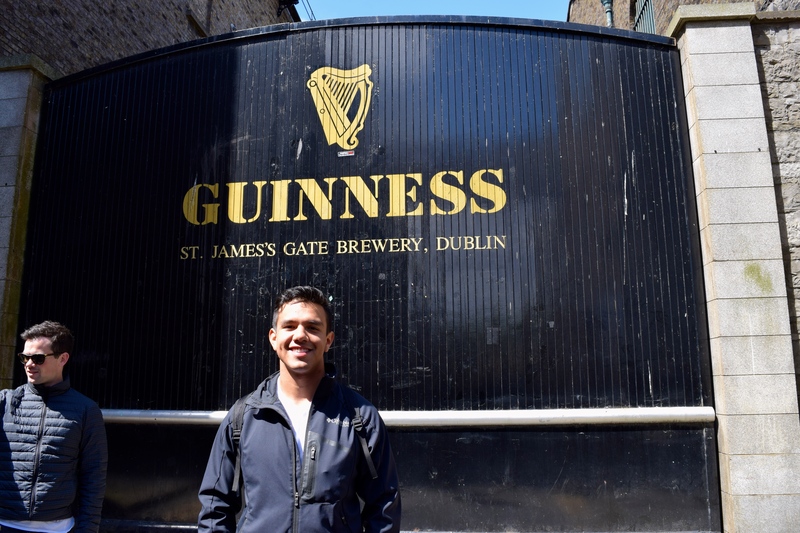 As we walked through the distillery’s quarters, I felt super smart as some of my knowledge from the Guinness Storehouse came into play with some of the Jameson ingredients and initial steps! 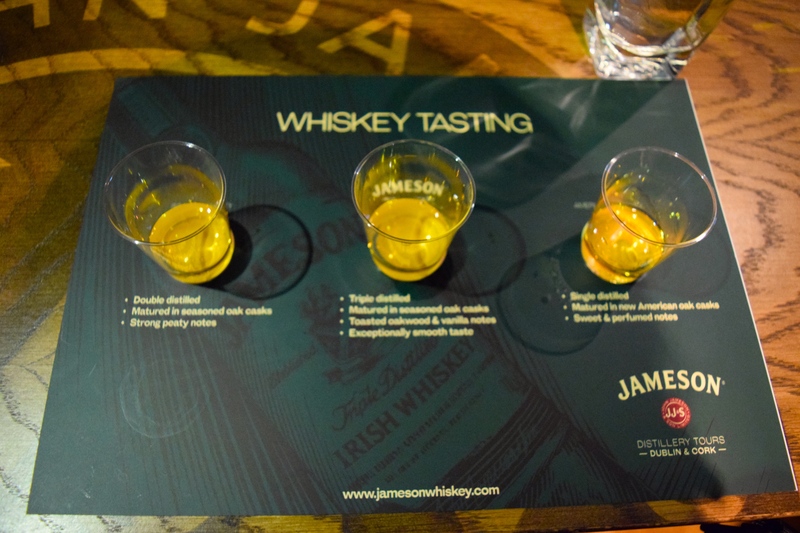 At the end of the tour, guests are invited to do a whiskey tasting and sample the top America, Scottish, and Irish (Jameson) whiskies side by side to tell the difference. It is incredibly obvious when you sample one after the other – the difference is in the number of times the whiskey is distilled. 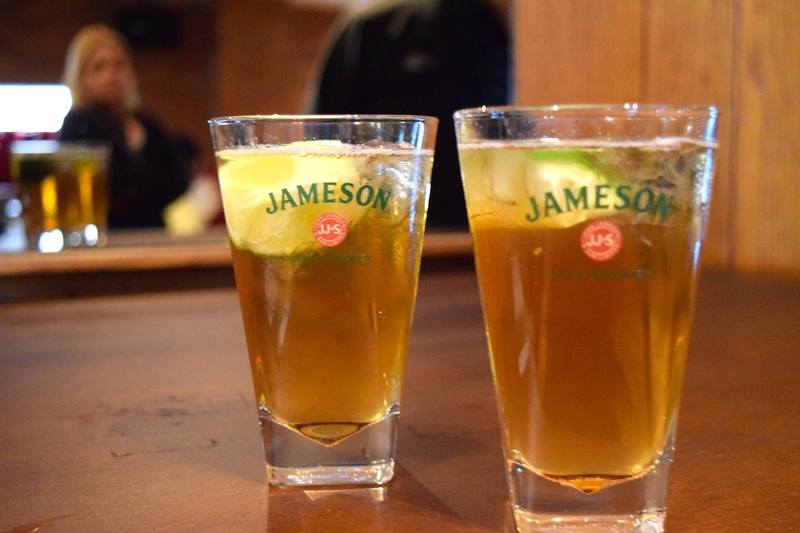 Jameson is distilled three times, while the American selection – Jack Daniels – is only distilled once. Unfortunately, it tasted terrible next to Jameson. 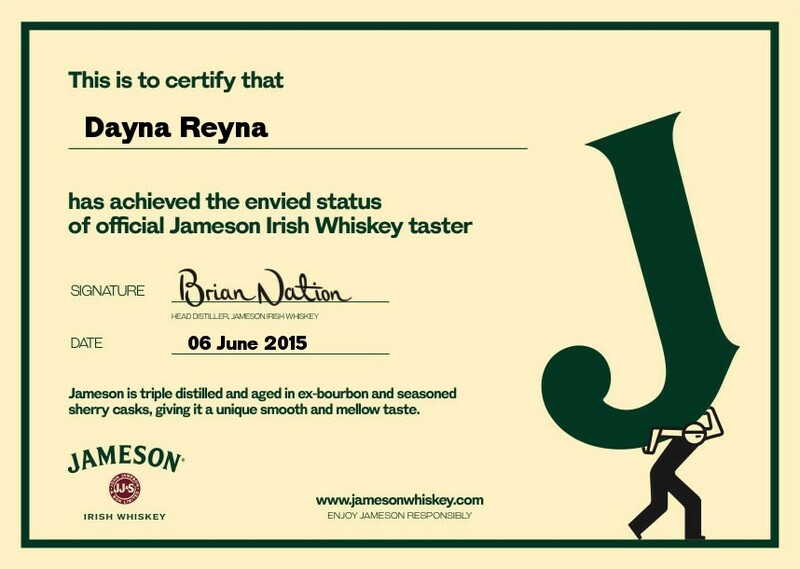 We were dubbed official Jameson Irish Whiskey tasters at the end of the experience with these digital certificates, so fancy! Haha. After all of this, we were able to mix and mingle with other tour goers, and enjoy a drink on the house in a beautiful bar area with big wooden tables and a small stage. 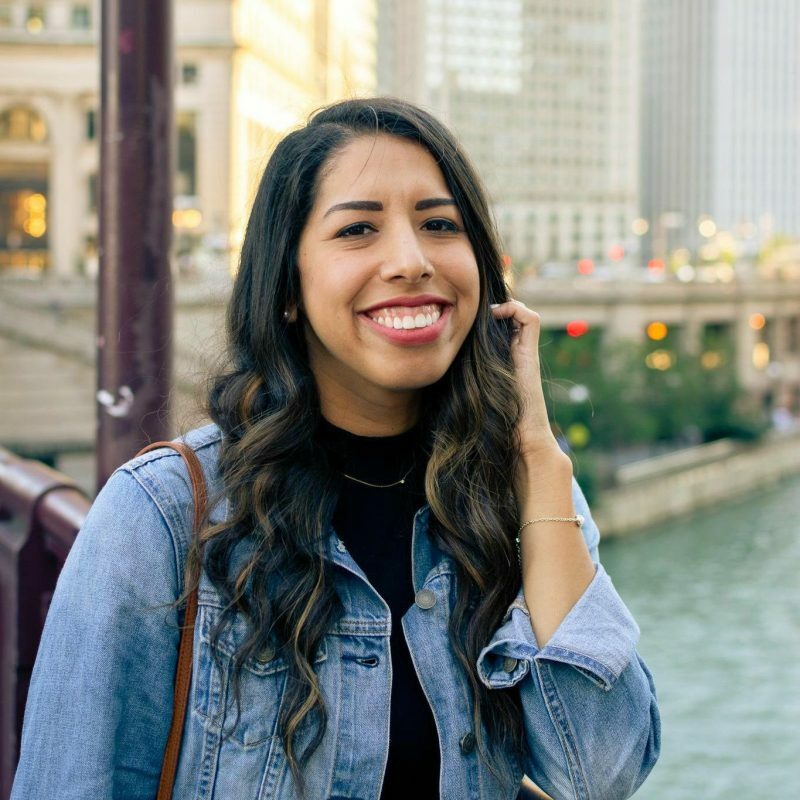 My advice for this experience is to purchase tickets online if possible or to go up as we did, prepared to purchase tickets for a few hours away if the next tour is full. Since only a certain number of people are allowed on each guided tour, when we walked up mid-Saturday afternoon, we simply purchased tickets for a few hours from then and came back after freshing up at our hostel! I totally recommend both experiences! 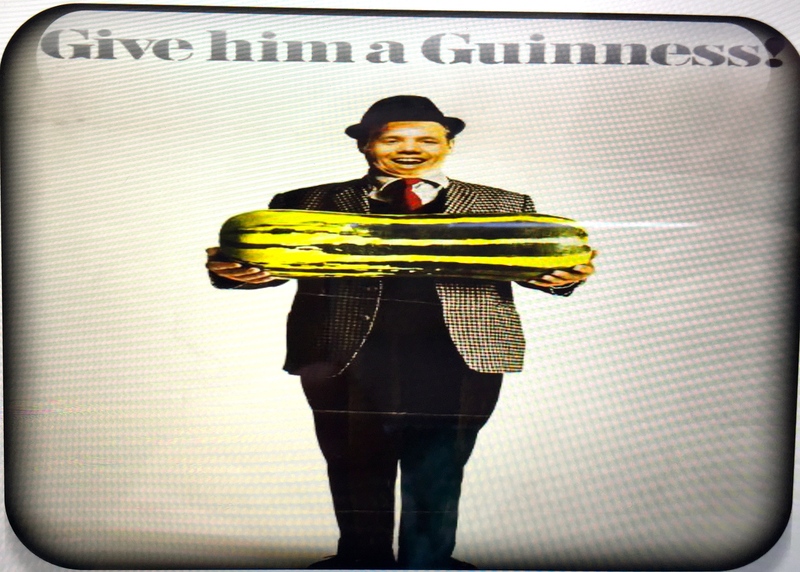 However, if I had to choose to do only one due to limited time or whatever reason, I would definitely choose the Guinness tour. I loved learning about more in addition to how the beer was made and the Gravity Bar view is unbeatable. 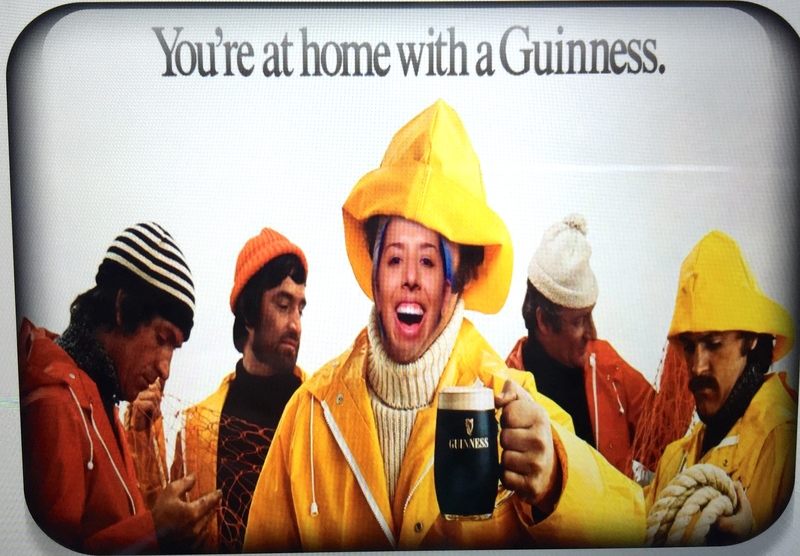 Bonus – Guinness was easier for me to drink haha. 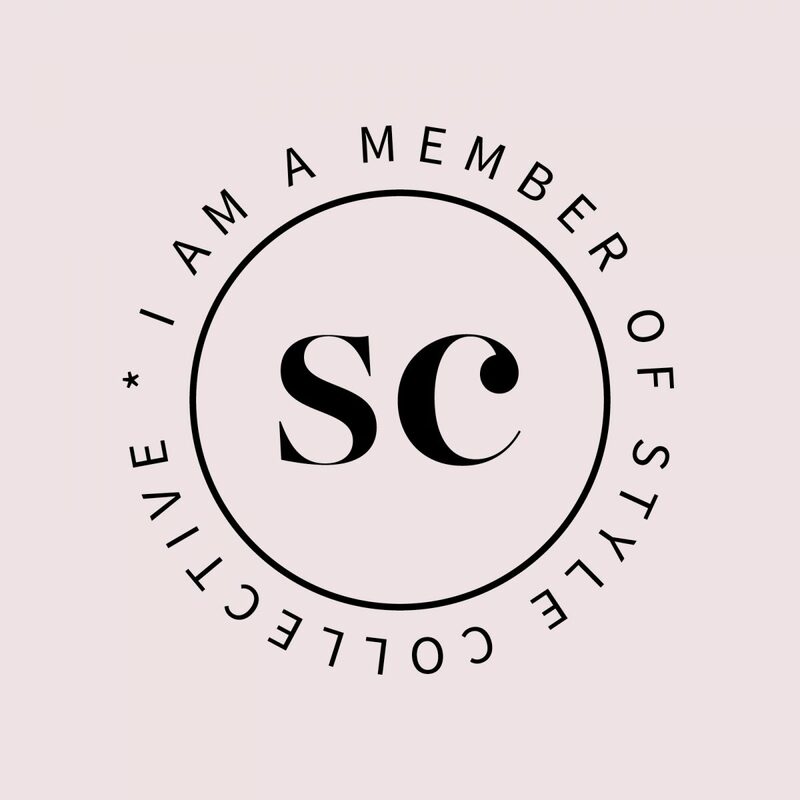 Final Dublin post coming up – a couple of my favorite food stops we made!